Lovely apartment centrally located in Mahmutlar town with sea view. This cute apartment is just 50 meters away from sea and close to many locations like local shops, supermarkets, bars & restaurants. 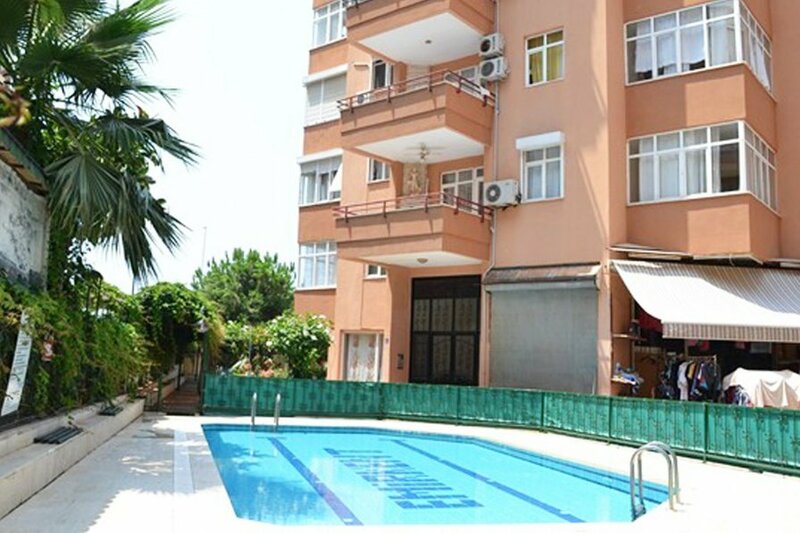 This lovely apartment centrally located in Mahmutlar town with sea view. This cute apartment is just 50 meters away from sea and close to many locations like local shops, supermarkets, bars & restaurants. It has got a nice view from balcony in a pleasant neighbourhoud. Also close to motorway so you can travel easily and save time if you want to visit some other places like Alanya of course. 2 bedrooms with a well-fitted living room apartment comes fully furnished. Kitchen is seperate and just between the living room and other rooms , so it may help to organize your daily activities better. Neighbourhoud is quite enough but also has some activity around. So you can both find some silence you may need and some active & social life that you might be looking for. Beach and sea activities are just waiting you infront of your home with 2 minutes walking. While you are having time by the sea side, there are many activities you can try. Such as beach volley, parasailing, water skiing, jet-ski & other water sports. If you say enough with the sea time you may also utilize from communual swimming pool in the complex and continue your relaxation.